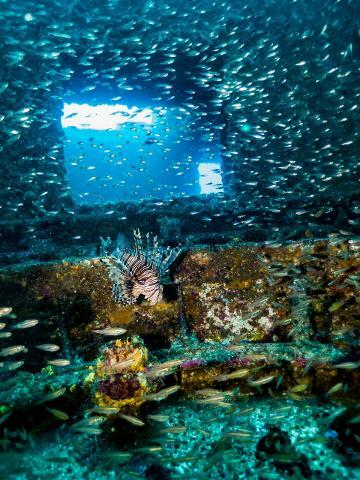 The Ex-HMAS Brisbane is an amazing artificial reef dive, located less than 3 km out of Mooloolaba. 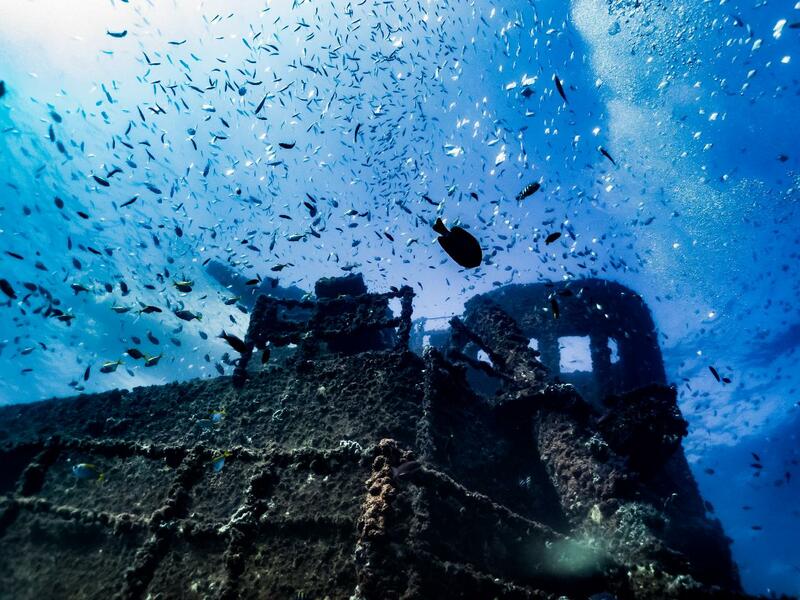 Local inhabitants include a large bull & eagle rays, angler fish, lion fish, blennies, nudibranchs, sea hares, squid and a school of juvenile red emperor and snapper. Other visitors include a shovelled nose rays, greasy cod and eagle rays. An octopus has made a home in a pyrotechnic tube on the deck. Up to 10 huge Queensland Grouper have been seen at one time off the bow of the ship. A turtle has taken up residency on the aft funnel and eagle rays cruise between the 2 funnels. 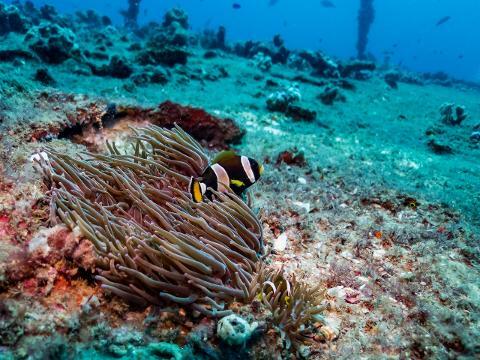 There’s also a huge amount of soft corals to be seen and hard corals are really getting established as well. 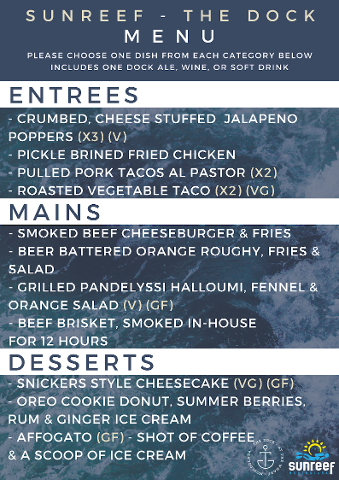 Your dinner will be a three course meal from The Dock restaurant at The Wharf. When you return from your dive and while we wash all your gear, change into dry clothes and head over to The Dock to relax and unwind with your dive partner. You can choose one of the delicious options from the set menu for your entree, main, and dessert. Your meal will come with a Dock Ale, wine, or soft drink. Each Diver must have their own, SMB, Whistle, Dive Computer and Snorkel.